Over 3,800 Haitians have illegally crossed the border from the New York to Canada. Around 58,000 Haitians have been living in the United States under Temporary Protection Status since the Haiti earthquake in 2010. Over the course of the past seven years, many TPS recipients have given birth to American-citizen children. Now that TPS may be coming to an end, families must decide whether the best course of action for their children. 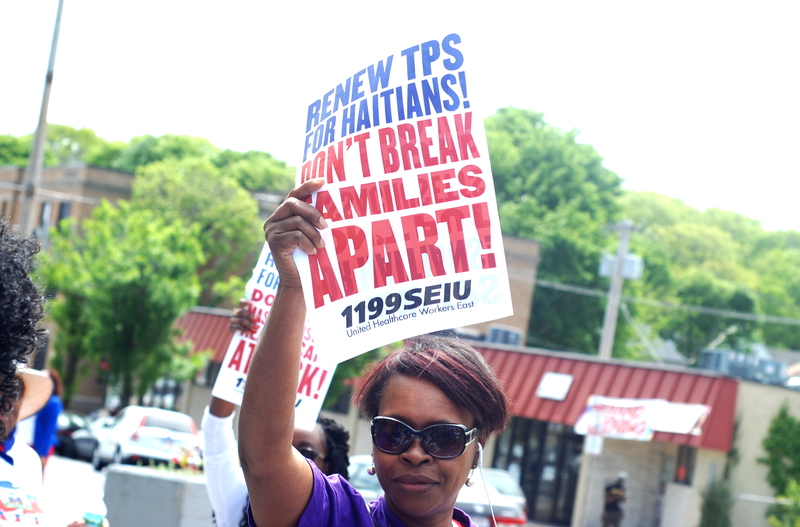 Parents must weigh the risk of remaining in the United States and separation if TPS ends, against seeking asylum in Canada and possible deportation. Unless TPS is renewed, many more will have to make this decision in the coming months. Beads of sweat trickled down her forehead as Carole Wembert dragged one bulky black-and-red suitcase and toted two other bags, the load weighing heavy on both her mind and body as she approached the border crossing. After 15 years in the United States, the Haitian immigrant had quit her job at Walmart in Fort Lauderdale. She packed up her four children, flew 1,200 miles to New York City, took a bus for seven hours and then a taxi before finally reaching the heavily forested spot on the U.S.-Canada border that has become a word-of-mouth entry point to a new life for immigrants. The future in Canada was uncertain, but she was pretty sure what faced her in the United States: deportation.“The president doesn’t want the immigrants to stay,” Wembert said.